With a longer leg length than standard, the Northwave Lightning Bib Shorts offer incredible muscle support to help battle fatigue. With their Biomap design they also fit beautifully moving with the body not against it. The high-compression M.I.T.I. Tech Power Zaffiro fabric of the Lightning Bib Shorts is what provides the exceptional muscle support - it helps stabilise the muscles as you ride whilst also offering impressive recovery and stretch for free and smooth pedalling. 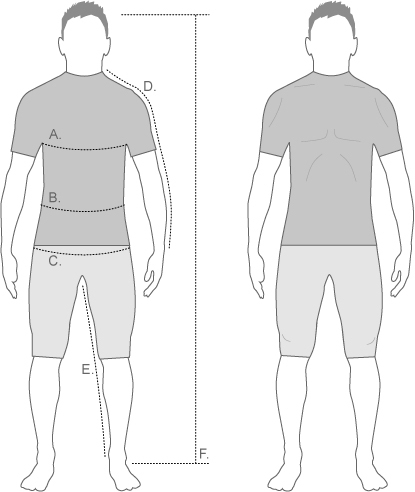 Combine the technical fabric with the BioMap design and you have shorts that fit perfectly when in a riding position. The upper bib section makes use of seamless thermowelded braces that offer incredible comfort against the skin and prevent any chafing or irritation. Meanwhile, raw-cut leg cuffs with integrated grippers fit like a second skin, giving a smooth and comfortable transition from shorts to the skin. Lastly, the K130 3D pre-shaped pad gives the finest in saddle support, the ergonomics and padding designed to offer you a barely there feel. For riders tackling long distances these Lightning bib shorts will help you tick off the miles in luxurious comfort. Compression, comfort and support all combine to help you push through fatigue towards your goal.